Swung by the dramatic and quirky memento mori themed exhibition Death: A Self-Portrait at the Wellcome Collection, a venue dedicated to exploring the connection between the past, present and future of medicine, life and art. 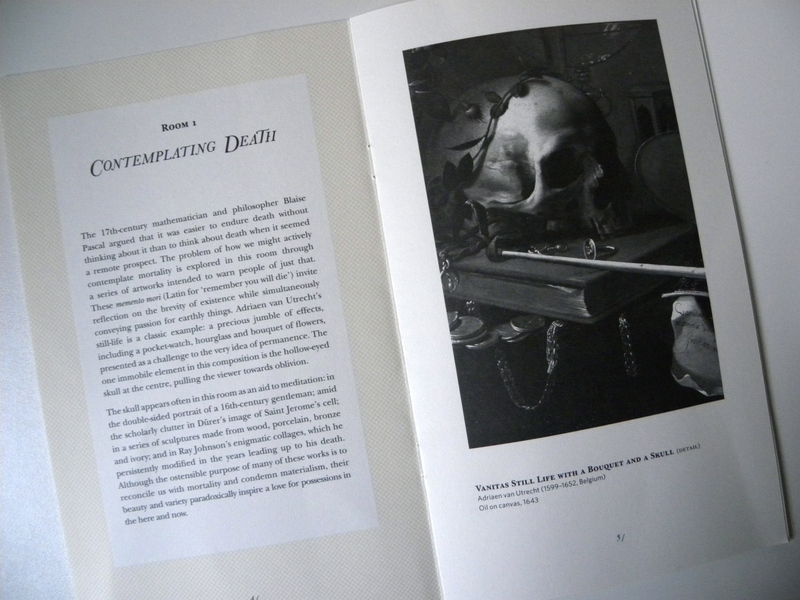 I was definitely intrigued as the exhibition is devoted to showcasing cultural and historical attitudes towards death. 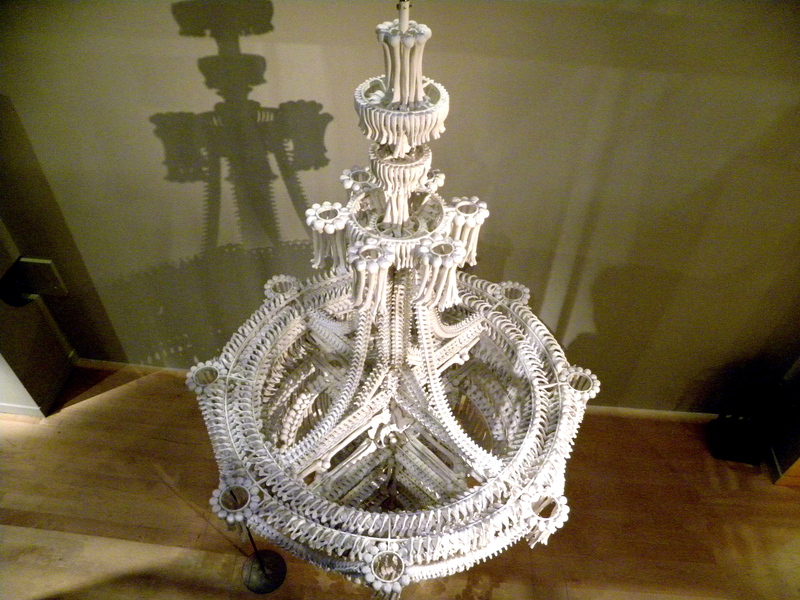 Clearly, my dark side is taking over as I’ve gotten inspired enough to adore this stunning chandelier made out of bones (well, not real bones but mixed media consisting of plaster, steel, wire, cardboard boxes, and newspaper by Jodie Carey in 2009). Detail of Vanitas Still Life with a Bouquet and a Skull by Adriaen van Utrecht, 1643, oil on canvas. 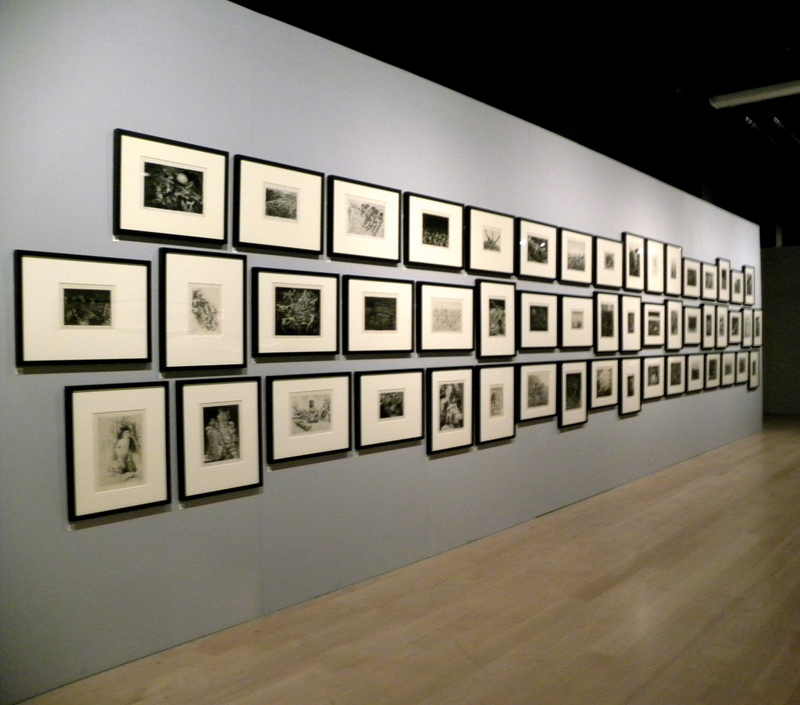 The exhibition is divided into a series of rooms, each with their own sub-theme such as contemplating death, the dance of death, violent death, Eros & Thanatos, and commemoration. Don’t feel the need to be intimidated by the bold and gripping titles as the exhibition isn’t nearly half as spooky or scary as you might imagine, instead I’d say more fascinating. Death can be such a taboo subject whereas this enlightening exhibit provides its audience with the opportunity to reflect upon their own feelings towards mortality. It is a light hearted exhibition with a beautiful collection of around 300 pieces consisting of paintings, etchings, sculptures, and historical artifacts. If you’re suddenly feeling curious and/or brave, why not stop by? This entry was posted in Art, Culture, Exhibition, Inspiration, Museum, Museum Exhibition and tagged Art, Culture, Death: A Self-Portrait, Euston, Exhibition, Inspiration, London, Museum, The Richard Harris Collection, Wellcome Collection by linneabylinneanilsson. Bookmark the permalink. Interesting. I’ll have to try check it out.